In Chinese, the number “9” is pronounced “jiu” the same way as “久”(eternity). 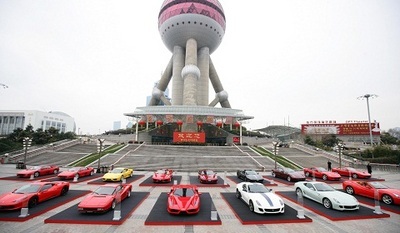 For that, they celebrated 999th Ferrari being sold in Shanghai, China. 999th Ferrari was achieved only within 5 years! Currently, China has an appetite for 300 Ferrari annually. But within 2-3 years, they are looking at 500 Ferraris annually. Around 400 Ferraris are being sold in Japan right now.